One thing we know about our culture’s communication habits is that everyone has different methods of preferred communication. It’s why “How to Effectively Communicate” seminars continue to sell out across the nation. We also know the positive rewards we reap when we do effectively communicate. Our stress is lowered, our connections improved and our own feelings of self-worth increased. A demographic of folks who struggle to be heard are those hard of hearing. In a very verbal and fast-moving world, communicating when faced with hearing loss is a particular challenge. For those of us who have loved ones with hearing loss, we are granted a unique opportunity to deeply understand the barriers of effective communication they face. Hearing loss is a much larger issue than most of us realize. It affects 48 million Americans across the span of a lifetime and that ratio increases with age. One in three people over the age of 65 have hearing loss. And, as the Baby Boomers enter into that age range, the sheer number of hard of hearing Americans will continue to increase. With statistics like these, it’s a strong bet that we’ll have a family member or loved one who deals with this issue. There are a few across the board strategies that hearing loss advocates promote as best communication strategies. 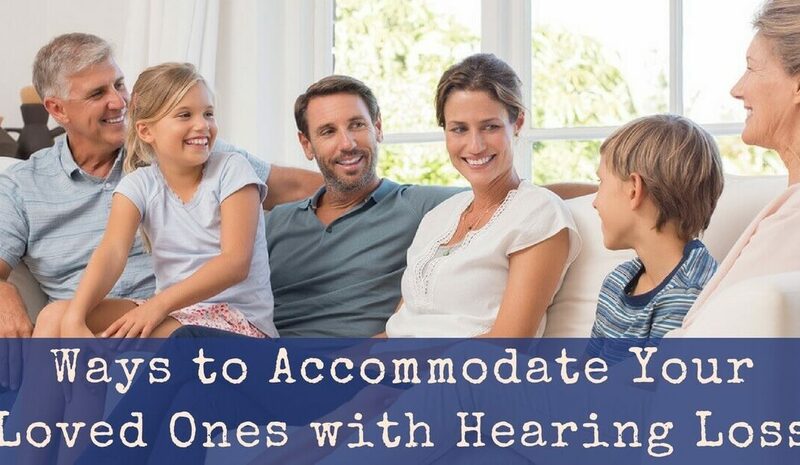 For one, never try to speak to someone with hearing loss from another room. You likely will get no response at all and if they are aware that they’re being spoken to, they might feel embarrassment or shame at not being able to catch what you’re saying. Instead, always face the person you’re speaking with. Those who have trouble hearing usually rely on additional factors to interpret verbal communication. They’ve adapted their listening skills to include watching the speaker’s mouth, reading facial expressions and body language in order to fill in the blanks of the conversation and read the meaning behind the spoken words. This might not even be a conscious move on their part, but instead one of the ways our brain steps in subconsciously to be its most efficient. A common misconception about hearing loss is that it presents itself as an overall lowering of external volume. This isn’t the case. People with hearing loss usually lose the ability to hear different frequencies, so sound seems distorted and therefore words are unclear. Because of the intricacies of hearing loss at certain frequencies, some words are simply harder to understand than others. Instead of repeating yourself at a higher volume if you aren’t being heard, try rephrasing your thought and repeating it slowly giving the other person another opportunity. If you have a close relationship with the person hard of hearing, always ask them about their preferred methods of communication. Everyone is different and while best practices are great to practice, getting to know your loved one’s unique communication pattern is ultimately the goal. It’s great to pay attention to the conversations you have with them and witness them participating in so that you can ask about specific instances. If you notice a loved one struggling to understand something someone else is saying, you might later ask them if they’d prefer you jump in to try and either answer for them. Some people welcome this type of assistance while others prefer to make it all on their own. The only way to know for sure with your loved one is to ask them about what makes them feel most supported. People with hearing loss can sometimes feel isolated and frustrated because communication, and thus connection, becomes so inherently exhausting. Ask them to share their experience of hearing loss and what it feels like to live with hearing loss. This is a way you can support them and give them an outlet to vent or even just an opportunity for their personal trials to be heard and understood. When you’re in social situations with your hard of hearing loved one, check in often to see how they’re doing. Because one-on-one verbal interaction tends to be easier to understand than group conversation, this might just mean sticking close to their side at larger gatherings so that they don’t feel isolated or abandoned. Being a better listener in instances with hearing loss tend to extend into our daily lives with everyone we communicate with. It’s just one of the arenas we can show up for those we love in a supportive and compassionate way. If you believe you – or a loved one – are experiencing hearing loss, contact your local audiologist or hearing instrument specialist for a comprehensive hearing exam.